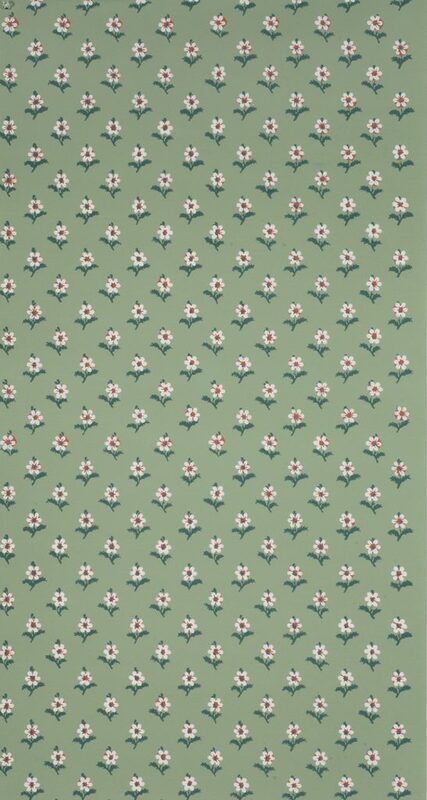 Small sprig motifs gained popularity in the 1760s and remained in fashion until about 1815, after which they gave way to papers with larger scale repeats. 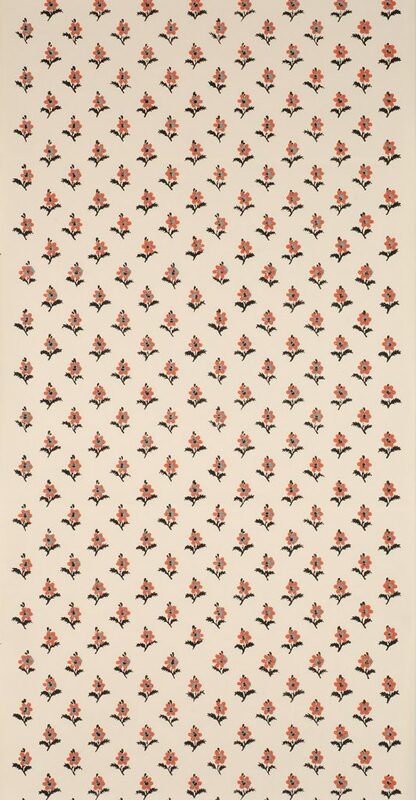 A reproduction of this pattern (discovered in Ipswich, Massachusetts) was commissioned by the Smithsonian Institution for use in the 1760s parlor of the Choate House at the National Museum of American History in Washington, D.C. The pattern has also been installed in Colonial Williamsburg. Historically, it was used in a parlor, dining room or, perhaps, a best bedchamber. Imperial Measurements: Repeat 2 ⅝ inches, width 21 ½ inches, length 11 yards, straight match. Metric Measurements: 6.6 cm, 54.6 cm, 10 m.